Recently, Merriam-Webster announced that its “Word of the Year” — the most looked-up word in 2017 — was feminism. Use of the word spiked nearly 70% this year, especially in the wake of the Women’s March. Look-ups of the word also spiked after Kellyanne Conway claimed that she was not a feminist “in the classic sense” because “it seems to be very anti-male and it certainly is very pro-abortion.” [i] Though the surge in interest around the definition of feminism certainly signals what has been a watershed moment for twenty-first century feminists, it doesn’t tell us how this definition was put to use, why it was searched, or for whose benefit it was elaborated. One might imagine that a large number of searches were conducted in order to prove something that the searcher already believed — sitting around the dinner table with recalcitrant relatives, reminding them that feminism is not a man-hating baby-killing conspiracy, but simply “the theory of the political, economic, and social equality of the sexes.” Certainly, there were some who sought this definition out of a sense of genuine curiosity, as well as those who sardonically showed it to their colleagues and co-conspirators as a springboard for anti-feminist vitriol. Whatever the reasons, American’s interest in the definition of feminism speaks to both the successes and challenges of a movement that — far from being a new phenomenon — has existed since well before its earliest known English usage (dated by Merriam-Webster at 1895). In the past year, “the” movement has seen vast mobilizations of bodies, the raising (and silencing) of “women’s” voices, and the ousting of male sexual predators from positions of power. And as in centuries past, its successes have only served to complicate its definition. As an historian of feminism, I have come across my fair share of definitions of feminism. Disagreements over the term abound. 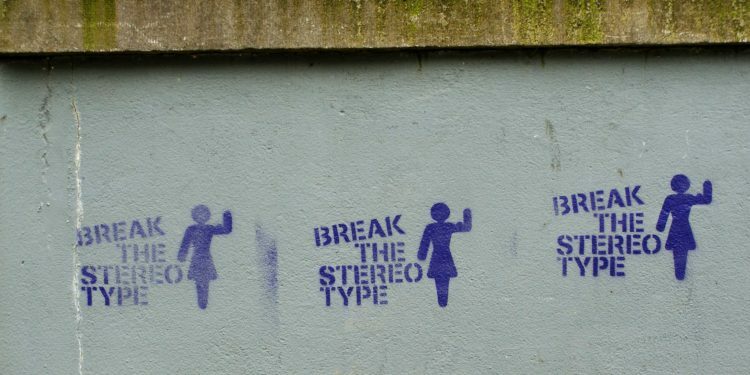 Can we center a definition of feminism on the category of “women” in a contemporary moment where the social construction of gender has become increasingly orthodox? Can the term feminism be applied to historical actors or movements that did not self-identify as such? Should it encompass individuals who subvert gendered expectations, or be reserved for social movements with explicitly political goals and activist methods? What about the status of subaltern, indigenous, or otherwise marginalized women’s movements who do not use the term? And what to do with conservative women’s movements fighting for specific, though narrow, roles for women in society? For those outside of the academy, many of these debates may seem obtuse or simply useless. But when historians ask what feminism means to their historical actors they are also, necessarily, asking us to reconsider what it means to us. On the other end of the spectrum, we might consider Madeleine Pelletier. Pelletier represented exactly the kind of feminist with whom Durand did not wish to be associated: she dressed in men’s clothing, eschewed all things “feminine,” and called for the subject of politics to be “unsexed.” Pelletier was also a professional psychiatrist, abortion practitioner, and neo-Malthusian advocate of population control. Though affiliated with the socialist party, she was at heart a classical liberal, advocating an end to privileges of birth and the erasure of class distinctions in society. Intelligence and work, Pelletier believed, were to be the sole arbiters of success in a truly just society. [v] Whereas Durand stressed — both in her life and her work — that women’s increased participation in the public sphere would neither irrevocably alter that public sphere for the worse, nor irrevocably alter the women who entered it, Pelletier contended that women could and should be changed by politics. It was their very exclusion from the public sphere, she argued, that had artificially made them into “women” in the first place. Once fully granted “political, economic, and social equality,” women would cease to perform femininity, and thus return to the unsexed (read masculine) individuals they were always meant to be. “Give to a woman,” Pelletier claimed, “even an inferior one, the right to vote, and she will cease to think of herself exclusively as a female and feel herself instead to be an individual.” [vi]Pelletier’s feminism, then, was far from the feminine/ist aesthetic of Durand. For her, being feminist meant abandoning the category of “women” altogether. Somewhere in the middle of these two extremes was Nelly Roussel, another contemporary of Durand’s and Pelletier’s. Like Durand, Roussel was at various points in her life involved in the theater as both an actress and a playwright. Unlike Durand, she came to feminism by way of freemasonry and socialism, which led her to the small but growing group of neo-Malthusian thinkers of which Pelletier was a part. It was in 1899, with the birth of her first child, that Roussel first began to formulate her own brand of feminism, one that emphasized the undue toll of childbirth on women’s physical and mental health. Childbirth, Roussel contended, should be both avoidable (through free access to birth control techniques and devices) and medicalized (through the use of chloroform and other techniques for pain management that were restricted for women at the time). 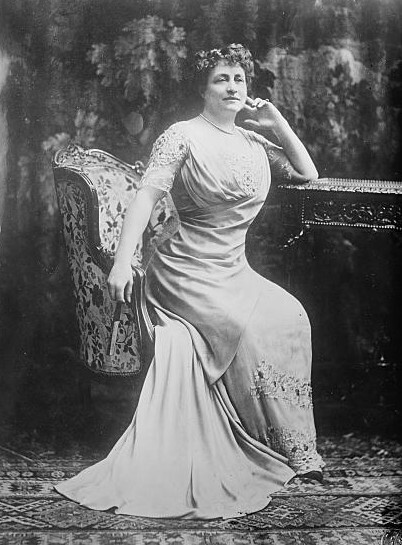 Unlike either Durand or Pelletier, Roussel took her feminism on the road, travelling for months at a time on speaking tours throughout France, targeting communities of working-class women in particular. “To be only a feminist,” Roussel argued, “without linking feminism to some grand ideal of social transformation and human regeneration, is obviously an error, prejudicial to feminism itself…. Not to be a feminist is another error, no less serious.”[vii] Her feminism was ambivalently maternal, and tied to a civilizational approach to human progress that would end up being foundational to the eugenicist politics of the interwar period. Taken together, these roughly drawn sketches of three contemporaneous French feminists give some preliminary sense of the difficulties inherent in any historian’s attempt to “define” feminism. Some scholars might lump these three women under the category of “first-wave feminism,” claiming that either their direct or aleatory support for women’s suffrage made them part of a coherent and identifiable historical movement. Even a cursory description of their politics, however, has shown that their own definitions of feminism differed on a profound and fundamental level, and that the tactical productivity of their engagement with feminist discourse differed wildly as well. The story of three long-dead French feminists does not, in and of itself, tell us much of anything about the politics of the Women’s March, or the strategies of the #MeToo campaign, or the best way to contest Kellyanne Conway’s misguided portrait of feminism. It does, however, demonstrate that we — as feminists — have long been fighting a losing battle with the word that defines us. One in which a lifestyle, set of beliefs, and ethical system that guides many of our lives is constantly diminished by our detractors to the status of a “dogma,” an ideology, even a conspiracy to end the human race. At its most expansive, feminism is not simply a set of theories or practices — as the suffix–ism may seem to imply — but a way of being in the world, a way of “orientating bodies in particular ways, so they are facing a certain way, heading toward a future that is given a face.” [viii] The way to win the battle over this word is not to perfect our definition of it, but to refuse to do so in the first place. Rather than arguing about what feminism is or is not, we should spend more time asking ourselves how the meanings contained in this word operate, how they circulate, how they effect truths, how they act on and through bodies, how they free us or lead us astray. 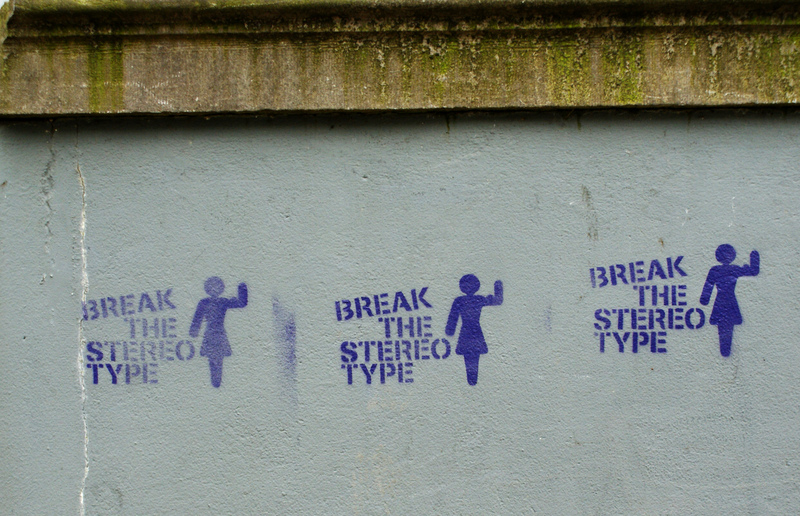 [ix] The task should not be to define feminism but to ask what a feminist definition of feminism would look like. Would it look something like Sarah Ahmed’s definition of a “sweaty concept”: an embodied, worldly, and unstable formulation that helps us orient ourselves in the world but never tricks us with the delusion that a concept is external to the world (or body) that defines it? Would it look something like “gender,” a term that not only describes a set of beliefs about sexual difference but encompasses its contestations? Or would it look something like “queer,” a word that elides definition precisely because it is, in its nature, anti-definitional? Maybe the time has come for us to finally differentiate between the narrow linguistic structure in which feminism has been trapped, and the sweaty world in which it lives. Maybe the time has come to accept that the very formulation of feminism — as something that can be defined — is in itself an anti-feminist endeavor. My hope for 2018 is that we stop attempting to define ourselves in such narrow terms as have been offered to us, and continue to use our feminist lifestyles, ethics, practices, and orientations to show, rather than tell the world what feminism means to us. Hannah Leffingwell is Ph.D Candidate at the Institute of French Studies at New York University, and a student assistant at the Office of Global Spiritual Life. [ii] Metz, Annie. “Bibliothèque Marguerite Durand : Présentation.” Archives du Féminisme. [iii] Some consider it “the” first, but other, less successful examples of women-run newspapers did exist throughout the nineteenth century, including the Saint-Simonian newspaper Tribune des Femmes. Moses, Claire G. “Saint-Simonian Men/Saint-Simonian Women: The Transformation of Feminist Thought in 1830s’ France.” The Journal of Modern History 54, no. 2 (1982): 240–67. [iv] Roberts, Mary Louise. Disruptive Acts: The New Woman in Fin-de-Siècle France. Chicago: The University of Chicago Press, 2002. 49. [v] Scott, Joan. Only Paradoxes to Offer: French Feminists and the Rights of Man . Cambridge: Harvard University Press, 1996. 127. [vii] Accampo, Elinor Ann. Blessed Motherhood, Bitter Fruit : Nelly Roussel and the Politics of Female Pain in Third Republic France. Baltimore: Johns Hopkins University Press, 2006. 205. [viii] Ahmed, Sara. Living a Feminist Life. Durham: Duke University Press Books, 2017. Kindle Locations 880-881. [ix] I am drawing here on Foucault’s definition of discourses as “tactical elements or blocks operating in the field of force relations; there can exist different and even contradictory discourses within the same strategy, they can, on the contrary, circulate without changing their form from one strategy to another, opposing strategy. […] we must question them on the two levels of their tactical productivity (what reciprocal effects of power and knowledge they ensure) and their strategical integration (what conjunction and what force relationship make their utilization necessary in a given episode of the various confrontations that occur.” Foucault, Michel. The History of Sexuality: An Introduction: 1. Translated by Robert Hurley. Reissue edition. Vintage, 1990. Kindle location 1323. Image 1: Bain News Service. 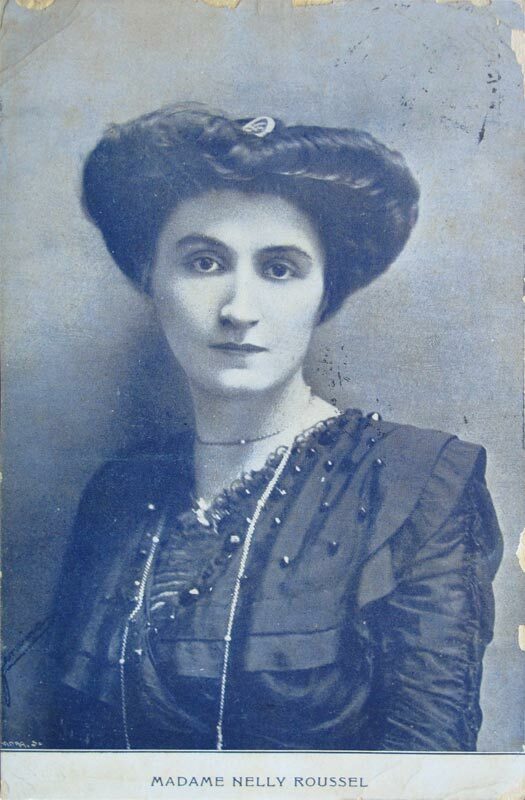 Marguerite Durand (1864 – 1936), French Stage Actress, Journalist, and a Leading Suffragette. 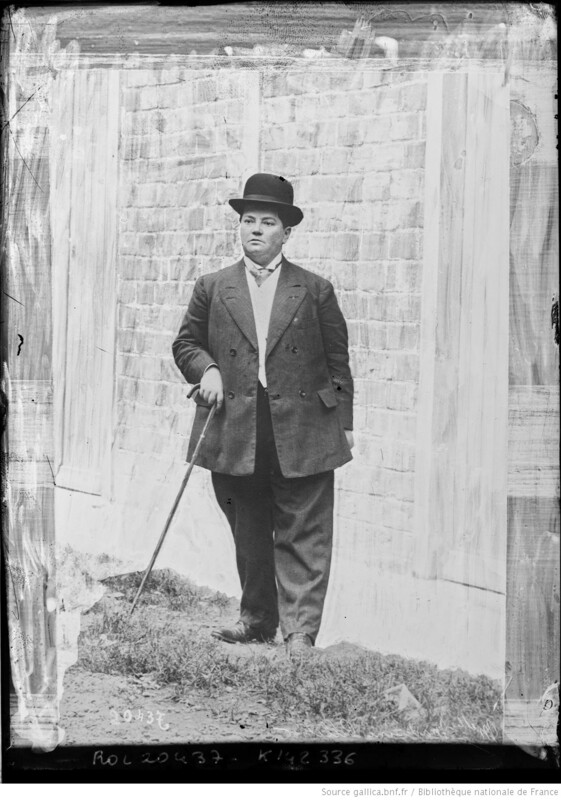 June 28, 1910. This image is available from the United States Library of Congress’s Prints and Photographs division under the digital ID ggbain.04884. Image 3: Ruedi, Fr. Français : Nelly Roussel, Née Le 5 Janvier 1878 et Morte Le 18 Décembre 1922, Est Une Libre Penseuse Féministe, Antinataliste, Néomalthusianiste et Anarchiste Française. impression carte postale 1911. Why Is Trump’s Authoritarianism So Hard for Some to Recognize?